This is a great book! I have been thinking of trying something like this and now you have raised the challenge bar. 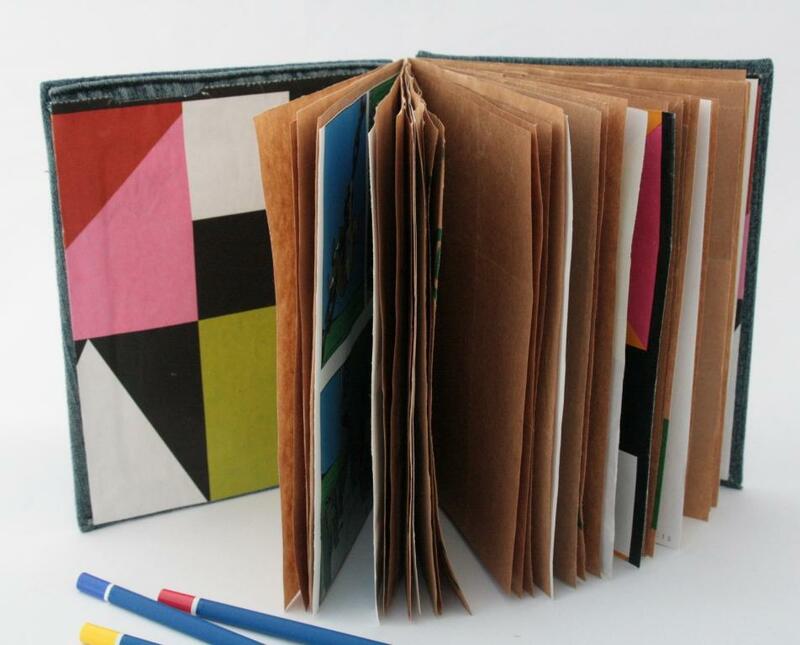 I love the seams as tapes, I wondered how to give the book good structure. I owned a journal at one time with a pocket on the front cover. I loved using that pocket!! Wonderful use for the tapes. I'm sure she'll love it! Love the mix of textures and colours. Very nice. Nice to see you all like it :-) It was really fun to make. - Good theme for a swap, it produced a lot of interesting books, too. What a cool book - I love it! 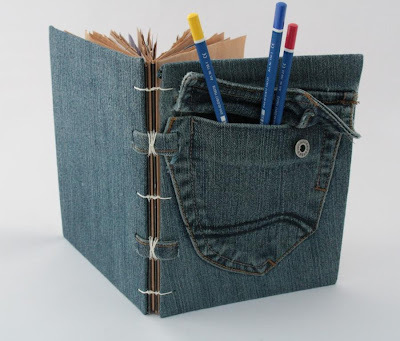 Such a cool way to recycle an old pair of jeans for sure...thanks for the inspiration!